The setting: a floor of gleaming hardwood, floor-to-ceiling mirrors, floor-to-ceiling sliding-glass doors. Dancers moving in light, fully absorbed in striving to achieve what Carla is asking them to do: create beautiful lines, be expressive of the music, be “natural” and genuine. 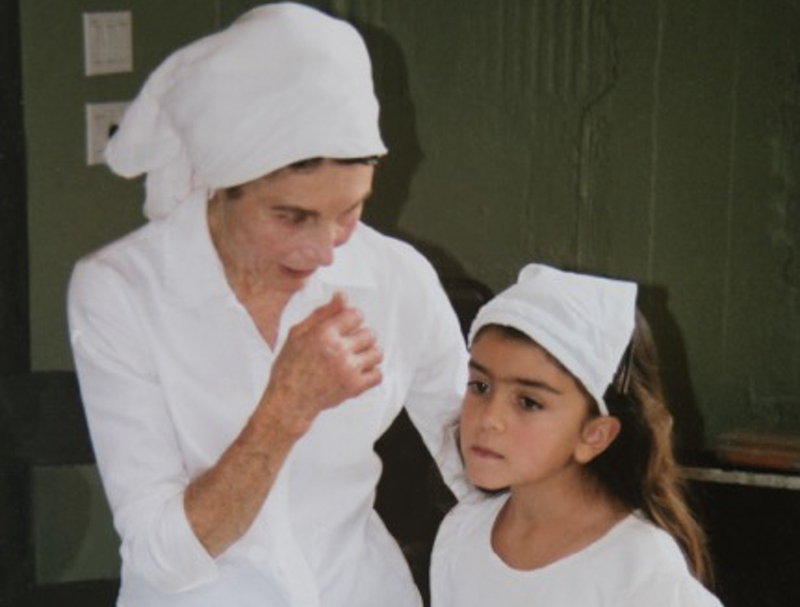 Carla Moseley taught young students the art of ballet in Santa Barbara for more than 60 years, imparting her love of ballet to many children, some who went on to dance, others who carried the lessons impressed upon them into their lives. “She created an environment for all of us girls growing up that was not just ballet but such beauty and magic. For that, our souls are etched in that light that Carla gave us. She taught us about the art of not just ballet but life, the discipline of the details and how they affect the big picture,” said Chloe Bidwell, a former student. As a young girl, Carla studied ballet in Fullerton with, among others, Roselle Frey, Bronislava Nijinska, and later Olga Fricker and Sheila Darby. There, she was introduced to the Cecchetti method of teaching ballet. She progressed all the way through the teacher certification exams to earn her Licentiate Certificate. While she was studying and training, she married Harold Moseley, moved to Santa Barbara, and had five children. At first, Carla taught in local elementary schools after school, hauling her portable record player and records around (as well as several young children). Once the studio at her home was finished, she taught in the large, light-filled space in Montecito for over 20 years. At night, after classes were over, she would spread out huge pieces of canvas on the studio floor and paint for her students’ productions the necessary theatrical backdrops, unbelievable in their scale and perspective ​— ​redwood forest, castle, California hillside, Greek temple, flower forest, seashore (the rats ate that one!). In the morning, the backdrop in progress would be folded up and classes resumed. Onstage, in the theater lights, the backdrops were revealed to be magical creations. For “Tales of Mother Goose,” one of the ballets created in her Montecito studio, a 16-foot-high book on the stage was replete with pages that turned, each painted by Carla on the floor of her studio. 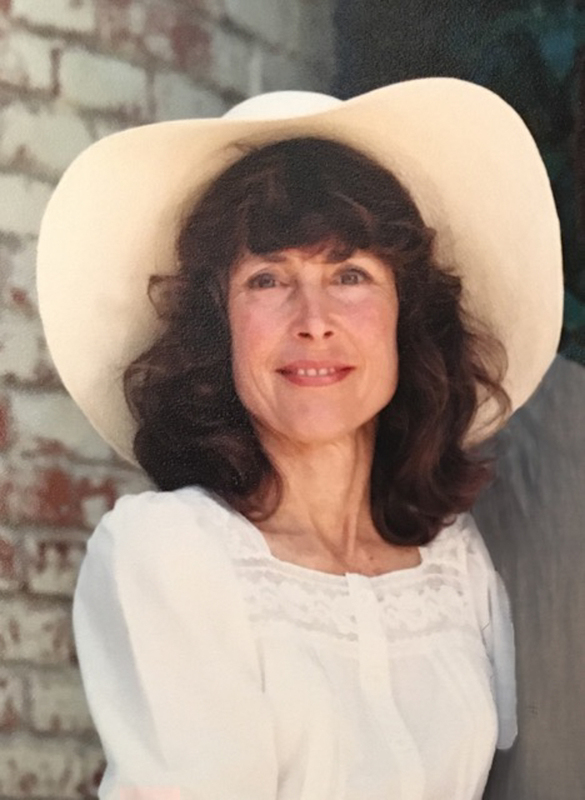 Carla Moseley, pictured in one of the few photos that survived the Tea Fire, taught ballet in Santa Barbara for more than 60 years, seeking perfection in the dance and the dancer. In Carla’s approach to ballet and to life, nothing was worth doing unless it was done the very best it could be done. That may seem like a cliché, but for Carla, everything had to be completed to artistic perfection; at times that meant last-minute touches to painted sets as the theater audience was being seated. She was most interested in teaching and coaching young dancers to be the best dancer they could be ​— ​“Do it again … and again … and again. … Yes, that is so beautiful!” Coveted words. She was driven to pass her knowledge and love of ballet to her students, never viewing the teaching as a business, but always as an art. At the urging of a former student, she opened a studio in Westlake Village, when the area was just begging to flourish. She installed a hardwood floor and floor-to-ceiling mirrors, and she traveled there every week to teach her loyal students. The commute became too difficult over time, the studio was closed, and the hardwood floor came back to Santa Barbara. After 20 years of teaching, raising children, creating original ballets for the stage, and undergoing life changes, Carla built a new house and studio on Park Lane, again with a floor of gleaming hardwood, floor-to-ceiling mirrors and doors, and light pouring through. Here, one of her lifelong dreams was fulfilled: raising and milking goats. From the barre, the dancers could look out the window and see the goat house, the chicken pen, and the extensive gardens and rock walls she had built. The recession hit; another life change was required. The school moved to the Music Academy of the West, in Abravanel Hall, becoming the Montecito School of Ballet, where I joined her in teaching. A new generation of students passed through her tutelage. New original ballets were created: A Midsummer Night’s Dream, Peter Rabbit, and Les Patineurs (The Skaters). Costumes were creations made by hand; sets were sometimes scavenged from the storage shed at the bottom of the Music Academy grounds; the Lobero Theatre became home for productions twice a year. And there was always the drive to make whatever she touched the “most beautiful, the most perfect.” Stagehands dreaded to see her coming, as she would have them “move that tree a little to the left. No, move it all the way over to the other side of the stage. No, it belongs back over there,” and with long pauses for consideration of the artistic merit of each move! The Music Academy remodeled Abravanel Hall into Hahn Hall, a music-only space, and the Montecito School of Ballet moved “downtown.” A new studio was constructed in a building on Gutierrez Street, with a Marley floor (sadly, not hardwood), mirrors partway up the 20-foot-high walls where a vaulted ceiling fills the studio with light. Other teachers joined the school ​— ​teaching jazz, contemporary, hip-hop, flamenco. Carla continued to teach at this studio until six months before she passed away on January 12, 2018. She was my mother, and every day is touched and illuminated, sometimes by only a passing glimpse, by her. When I find myself involved in creative endeavors, in household tasks, I remember her ​— ​her laugh, her joy in her grandchildren. How I wish I could share the fact that I now have a granddaughter. Her passion for creating and appreciating beauty and having it fill her life is a goal I strive for, as well as her strength, her courage, and her ability to persevere, with gratitude.